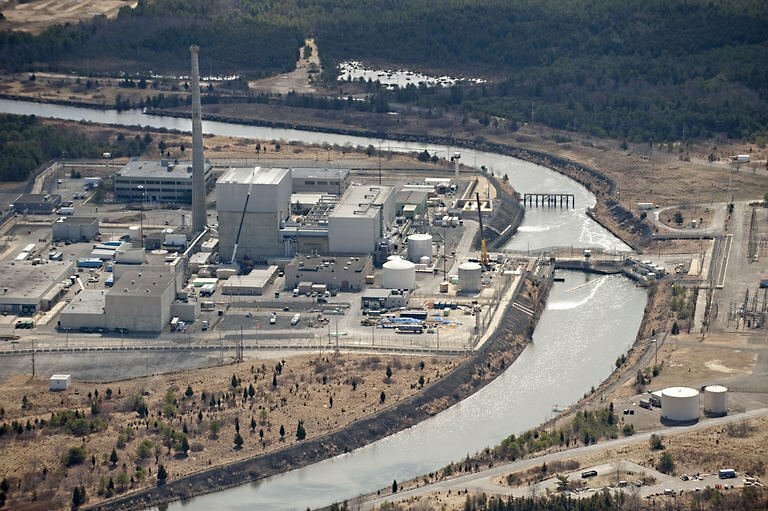 The Oyster Creek Generating Station, the nation’s oldest nuclear power plant, will shut down more than a year ahead of schedule, Exelon Generation, its owner, said Friday. In an agreement with state authorities announced in 2010, Exelon agreed to shut down the plant by the end of 2019, though the plant was licensed to operate through 2029. The state had threatened previously to pull the plant’s license because of a lack of cooling towers like more modern plants. The new schedule also allows Exelon to meet the 2019 commitment “while helping employees find jobs elsewhere in the company and managing costs,” a statement from the company said. In advance of the shutdown, Exelon will be working closely with local officials, state agencies, elected representatives and the Nuclear Regulatory Commission to plan for long-term decommissioning, according to the statement. Oyster Creek’s approximately 500 employees will continue to operate the plant until its closure. “Some will stay on to safely and securely decommission the facility after it is shut down,” the company said, but stopped short of releasing an exact number. Oyster Creek went online Dec. 1, 1969, meaning its closure will come mere weeks before its 50th birthday. It is the nation’s oldest operating nuclear power plant, and opened the same day as the Nine Mile Point generating station in upstate New York. That plant is still operating, and its multiple reactors are licensed through 2029 and 2046.